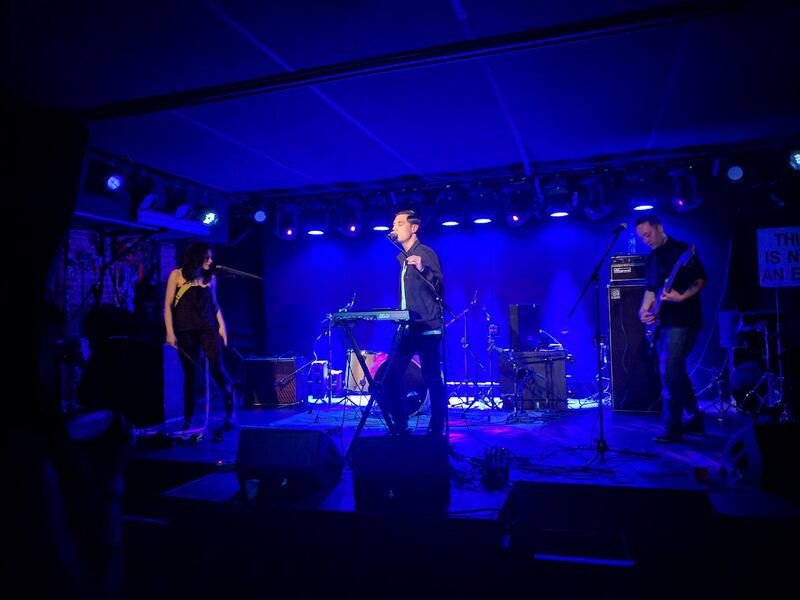 thanks for coming through on a monday night to check us out at mercury lounge, was a great night, the crowd had their monday night dancing shoes on! new tracks on the set, list overall was: photo, venir, bullet, friday, ttwd, automated, sunsetting, hotel. cheers to mystic monkey who indeed were funky (and had lots of tall fans). and of course, much thanks to Cruture for joining us in a long overdue show. see you in berlin on tues 4/18 by that we mean downtown. maybe germany another time though.